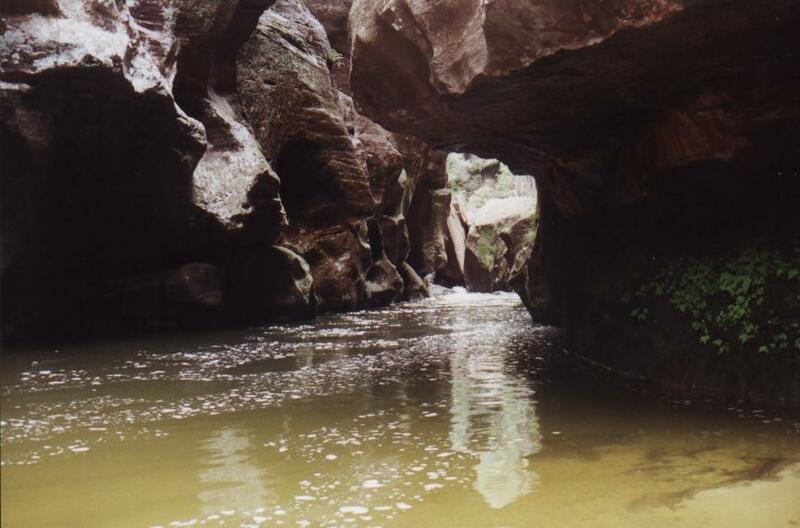 These are are selection of canyons in the Wollangambe region, part of the Wollemi National Park. 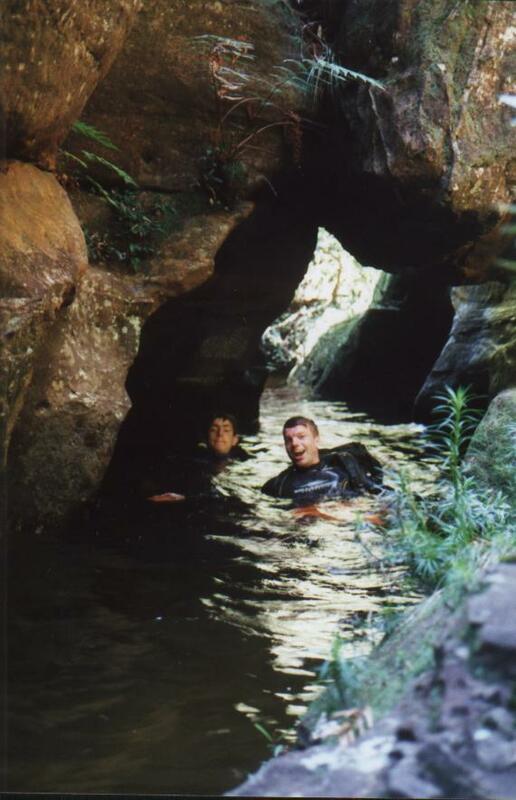 Pictured left is Andrew and Colin (Chazmo's Angels) swimming down Geronimo canyon not long after the big water jump. 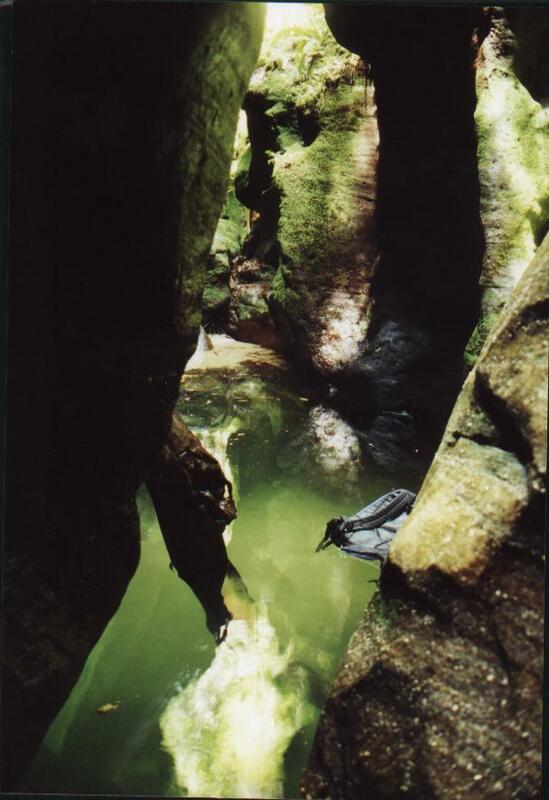 Right is the beautifull Whungee-Wheengee canyon also a branch of the Wollangambe. This photo was taken at the bottom of the second 8m abseil, not far from the end. You can see why it is called the 'Green Room'. Above, looking down the Wollangambe at the WHungee-Wheengee exit.